Prehistoric Pets is the current toys from Burger King's Kids Meal. This set of toys consist of prehistoric creature commonly dinosaurs. Xtractaurs Hybrid - it's like a build your own dino thing. There are dinosaur part that you could snap in together. Squirtin' Screature - this dinosaur figure is a also a water squirter. The design is good. Runnin' Cruncher - is a pull back toy. The design of this dinosaur is very mean looking. My favorite from the set. Strollin' D-Rex - is a wind-up toy. It walks when you wind-up his motors. The figure looks nice, it would ne nicer if they include hand movements. Megamind - the toy includes a robot armor for Megamind. You can fit Megamind inside the armor and press an eject button to release Megamind from the armor. Metro Man - the toy has a switch on his back that makes his arms move left and right. Tighten - the toy includes a dome launcher that rotates and eject Tighten in the air. Minion - the toy rotates like a top. Voice Distorter Brainbot - the toy is a voice distorter that change your voice into a robotic sound. 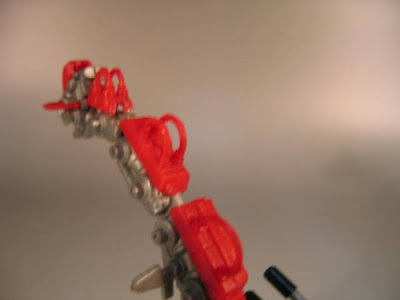 The design of the toy is based from one Megamind's robot creation. Snapper Brainbot - Another of Megamind creation. The toy is like a gun, that when you press the trigger, the appear part opens like a mouth and snaps like it is biting something. Light Effects Brainbot - the toy is a like a flashlight that display animated lights. The design is also based from a Brainbot created by Megamind. Bulldog Brainbot - the toy makes a barking sound and like the three brainbots, this is also created by Megamind. This Halloween season, McDonalds US Happy Meal will come inside a spooky Mr. Potato Head Halloween Pail. The Mr. Potato Head Halloween Pail is available in two designs. It includes stickers of Mr. Potato Head parts that can be stick on the pail design to create Mr. Potato Head Halloween creatures. Children can also use the pail in their Trick-or-Treat to store candies and treats. 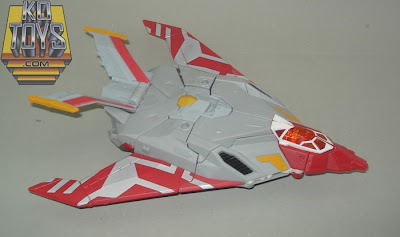 Here is the 2011 Transformers Collector's Club Exclusive G2 Ramjet. 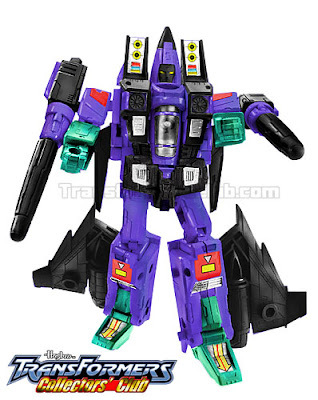 First announced at the 2010 BotCon set, TCC finally revealed the Ramjet color scheme. First impression was, "okay, so this is the exclusive Ramjet... hmm... maybe it's better in person than the pictures"
Ramjet doesn't know how he was exposed to Forestonite but he's definitely grateful for the tougher skin that he's grown in alternate mode. Now when he catches any hot shot pilot, human or Autobot, in his territory amongst the clouds, he has the capability of truly putting that pilot in a jam! Instead of locking on with his weapons, Ramjet engages his afterburners knowing that one strike from his strengthened nose cone will leave all of his adversaries toast! G2 Ramjet is a Deluxe sized figure featured in the Wings Universe and is part of the Generation 2: Redux cast. 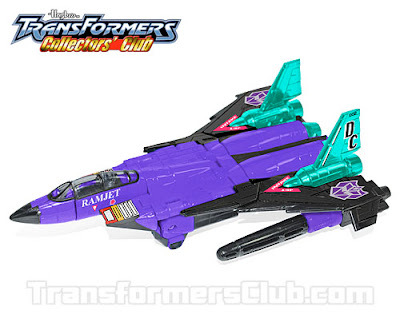 G2 Ramjet utilizes the extremely popular Classics seeker mold. The toy is packed in a convention style box with a foam insert for easy removal and display. 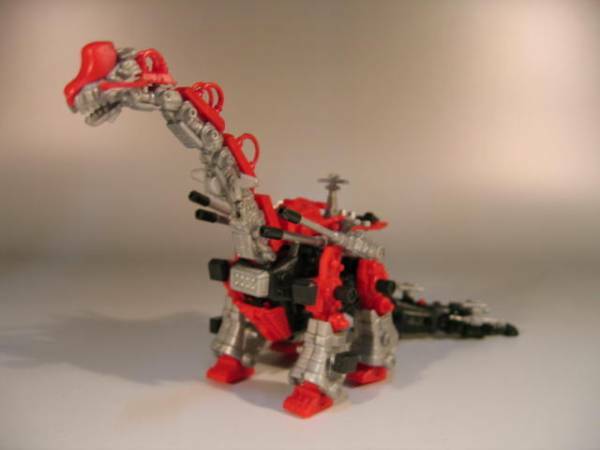 Ultrasaurus Red is one of the legend Zoids. I was not aware of its existence since I stumble to Sir Lionel’s site. All the details regarding this legend Zoids are carefully documented by Sir Lionel. All the possible sightings and false sightings are in his website. It’s been how many years since the hunt for this Zoids, and I really hope that someday he will find this extraordinary and legendary Zoids. I wrote this article because of this bootleg found in Yahoo Japan. Surely it’s not the legendary red, but it reminds me of sir Lionel’s quest for the red one. Starting at 15,800 yen, you can own this piece. Finally here are two new figures from Transformers Generation. I can not say that these two are really new since Strafe is the third re-color of the original mold Mindwipe. Lugnut looks great in his plane and robot form. 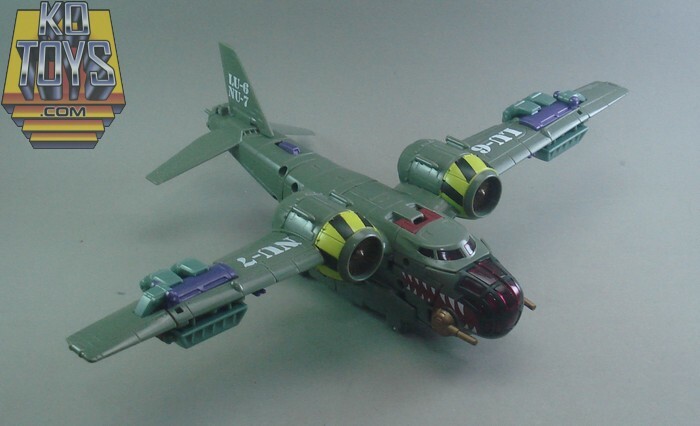 I really like the plane mode of Lugnut a real huge NU-7 Bomber plane. The details in his cockpit and the painted shark mouth in it head. The color scheme is very militaristic. Looking closely, you will not think that this is a Transformers toy. The designer was able to hide all robot mode in this NU-7 bomber. 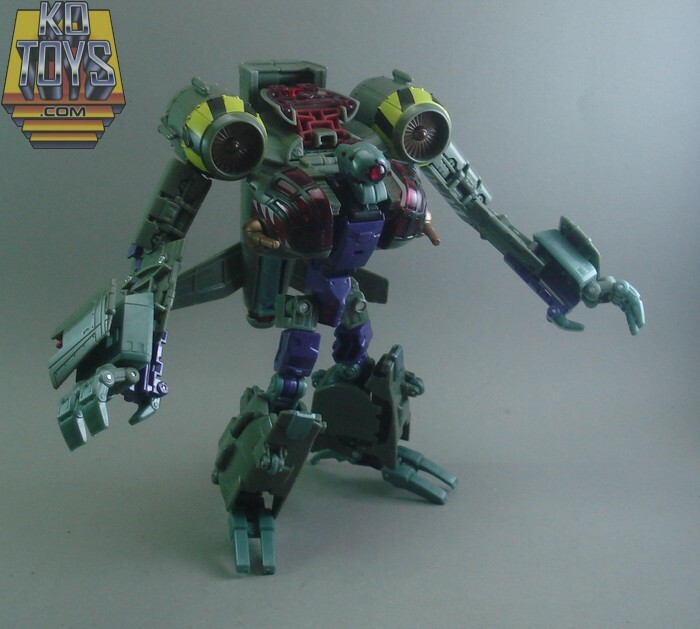 Here is Lugnut in robot form, somehow it looks very similar as the Lugnut animated version. The body frame looks a little bit skinny but still, overall the robot version looks good. 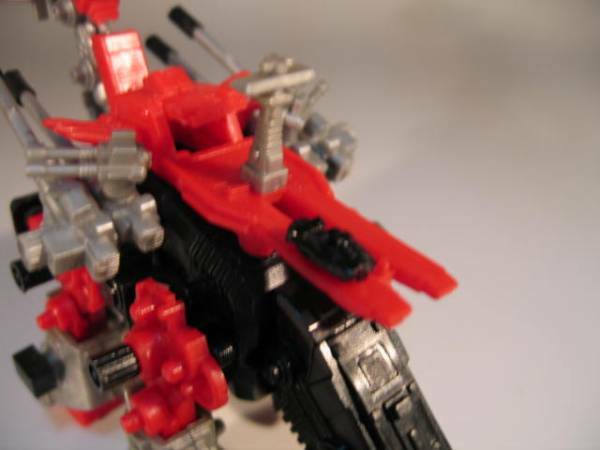 Here is Strafe in his plane mode, a recolored version of Mindwipe. The color scheme really reminds me of Hasbro's Zoids Jet Falcon. I'm not that impress with this color scheme. Here Strafe in his robot mode, as the previous versions there are no new addition for this figure except for it's new color scheme. 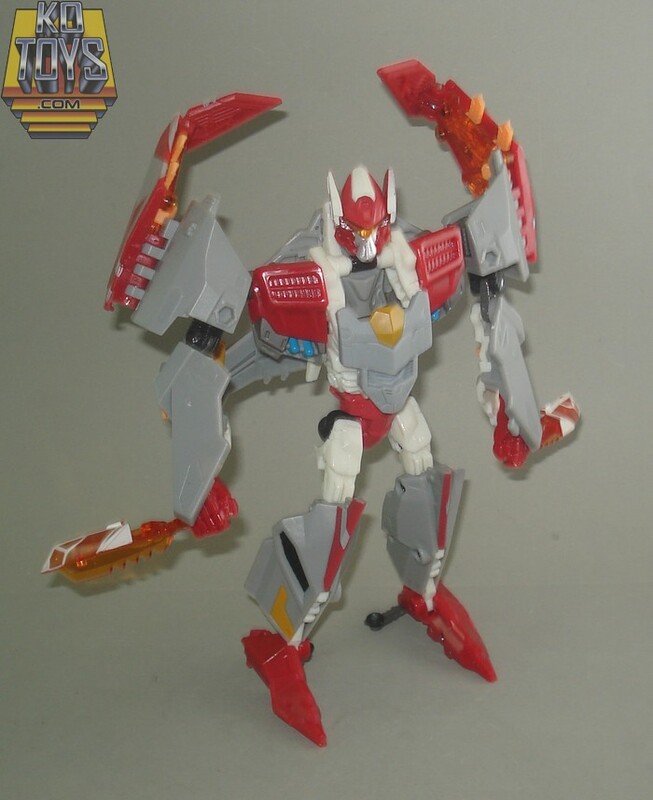 In robot mode, it look nice, I like the two transparent daggers. Both figures are voyager class, so let's expect that it will cost around 1,700 Php when it hits retail. Here is the first set of marvel universe figures that will be released on 2011. 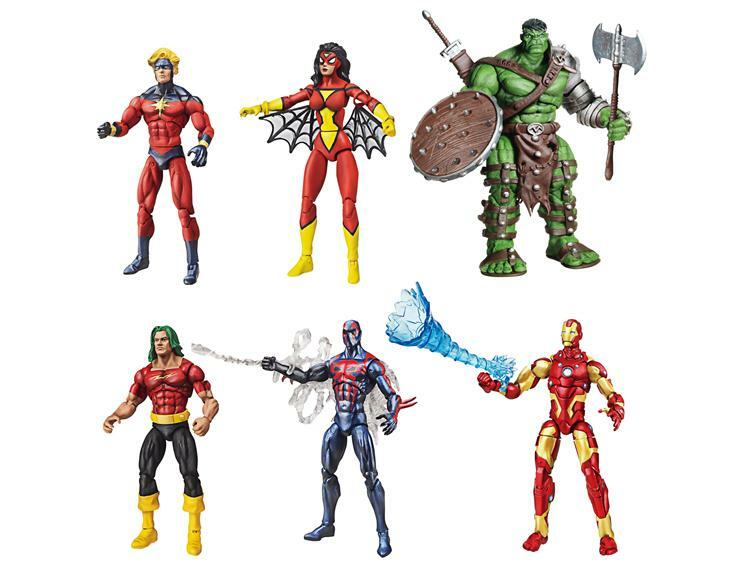 Here is the newest set of toys from McDonald's Happy Meal, the Air Toy. Six new air-powered toys from McDonalds.